GPL Podcast #136: Guest: Brad Schlossman. We kick off the 2018/19 Gopher Hockey season. New Staff. New attitude. We talk about all that and preview the series against the defending National Champions. 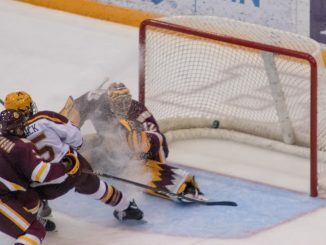 The Minnesota-Duluth Bulldogs. You can listen to the podcast above, or via iTunes / Google Play. Check out older episodes on the Podcast Page.